Radon is a radioactive and deadly gas that you can’t see or smell, and it lurks undetected by normal household smoke or carbon monoxide detectors. The average person receives a higher dose of radiation from the radon levels in their home (long-term) than from the combined exposure to all other radiation sources, natural or man-made. By helping you understand radon, assess your exposure, and taking corrective action, DRM’s mission is to reduce your family’s risk of lung cancer and provide the peace of mind that comes from a safer home. 1. Radon is a chemical element of atomic number 86. It is a radioactive, colorless, odorless, tasteless noble gas, occurring naturally as an indirect decay product of uranium or thorium. 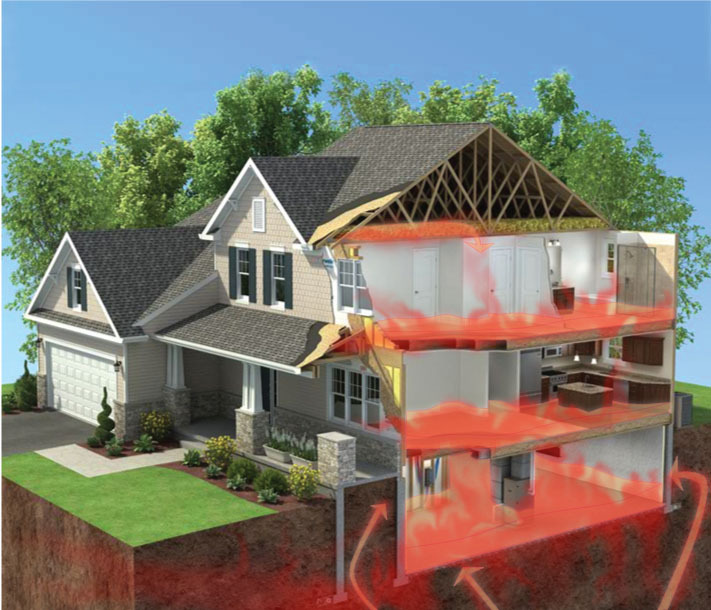 Radon decays in the soil and then seeps into your home through common entry points. The gas is then distributed throughout your home by your vents and ducts. Dakota Radon Mitigation: Safer homes & healthier lungs through education and mitigation. Your family’s safety and peace of mind is our top priority. After your radon test, we hope your results show low levels of radon exposure. If your levels are elevated and you decide to take corrective action, we are here to help with expert advice and free estimates on a mitigation system for your home. Since 2005, we have helped over 3000 families in the Sioux Falls area understand and reduce their risk of radon exposure. Beware of companies who do same-day tests or tell you there is a radon problem in your home without testing, since levels can vary from home to home in the same neighborhood. We will never solve a problem you don’t have. 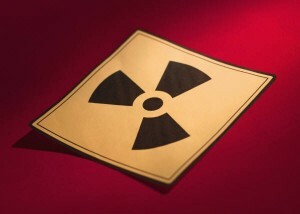 Radon exposure is linked to higher risks of lung cancer. Your level of exposure can be significantly reduced by a properly designed mitigation system. You wouldn’t dream of living in a home without a smoke detector, but because Radon is 7x more likely to kill you than a house fire, knowing your Radon levels could be more important than installing smoke detectors. And, it’s easier! If elevated Radon levels are found in your home, don’t panic. A professionally designed radon mitigation system can drastically reduce your radon levels, and can usually be installed by a trained specialist in less than a day. Dakota Radon Mitigation, LLC provides very cost effective, high quality solutions that are guaranteed to reduce your radon levels, We verify our systems with professional unbiased testing, and we stand behind our work. Getting your home tested for Radon and mitigated if necessary is often a condition of sale for home buyers. You can increase your home’s value, your health, and your peace of mind by having your home tested while you still live there. Radon is measured in Picocuries per liter of air, or pCi/L. If you get a reading of 4 pCi/L or higher, you may have a radon problem. There are two types of tests done to determine this level. Short-term testing takes 2 to 7 days depending on the type of device used. Long-term testing takes longer than 90 days. Most tests are short term. However, these tests can’t give you a good year-round average measurement of the radon in your home. But they can give you an indication that there might be a problem. Windows and exterior doors should be kept closed as much as possible during the test. With tests lasting only two to three days, you should keep your windows and doors closed for 12 hours before the test as well and don’t conduct these tests during storms or high winds. Put the test kit in a room that is used regularly (except for the kitchen or bathroom), 24 inches above the floor and where it won’t be disturbed. Leave the kit out for the specified time and then seal the kit and send it to the lab. You should get the results a couple weeks later. Long-term testing is done for longer than 90 days. Alpha track testing and electrets detectors are the most common types of tests done this way (though some types can be short term). This type of testing will give you a better reading of what your home’s average radon level is as opposed to short-term testing. The most common way to test for radon is with an activated charcoal test kit. The charcoal collects radon atoms from the air that can be counted in a laboratory later. This is an inexpensive test and one that is easy to do yourself. About 95 percent of all non-electronic radon testing is done this way. However, most Realtors recommend independent electronic testing. Alpha track devices work in a similar way to charcoal test kits. Alpha track devices are special pieces of plastic that are marked when hit by alpha particles in radon. This can be counted in a laboratory later. This is also an easy test to do yourself and relatively inexpensive. An electret has a plastic disc that contains an electric charge. It is normally only used by professional radon inspectors because of the cost of the analysis equipment and the expertise needed to operate electrets. A continuous electronic radon monitor is often used by professionals. It measures radon over two days to complete the test for real estate transactions. There is a wide variety of equipment that can measure radon in this way. Because radon is a radioactive gas, it’s important to adhere to best practices to ensure the most effective mitigation possible. Installing a mitigation system is not as simple as installing the largest radon fan you can buy and directing it outside. Dakota Radon Mitigation has years of experience at designing radon mitigation systems that are cost-effective, have minimal noise impact, and are sited and sealed properly to drastically reduce radon accumulation. Immediately tell you there is a radon problem in your area without testing. Radon situations can vary from house to house, depending on geography and house construction. Always insist on an independent radon test. Do same-day testing. Radon tests take time to properly measure the amount of exposure over time. Evaluate radon tests themselves. DRM sends your radon test to an independent lab for analysis. Quote you a flat rate for a radon mitigation system. You may be overpaying, or receiving a mitigation system that does not address your specific concentrations. Our installations are efficient and tailored to your situation. Our volume allows us to purchase components from suppliers at very low cost. Dakota Radon Mitigation will never attempt to solve a radon problem you don’t have. We have earned the trust of homeowners and real estate professionals because we have built our business on integrity, service, and expertise. Our goal is your peace of mind, knowing your home does not have elevated levels of radon gas. We hope this can be obtained simply be completing radon test, and we always use independent radon testing to ensure accurate and unbiased results. If you do choose to have a mitigation system installed, Dakota Radon Mitigation can design a cost-effective solution and we will install it promptly and professionally.